We would like to say a big “Thank You!” to three hard working tenants who live in Masefield Gardens, Offmore. The tenants have really done their community proud. Diane & John Beechey and Patrick Daly have pulled together to take their communal gardens to another level by adding some additional shrubs, plants and garden ornaments for everyone to enjoy. Oakleaf Grounds Services regularly maintain the gardens and have supported the project wherever possible. Patrick, also a tenant of Masefield Gardens, regularly donates plants for the communal gardens. 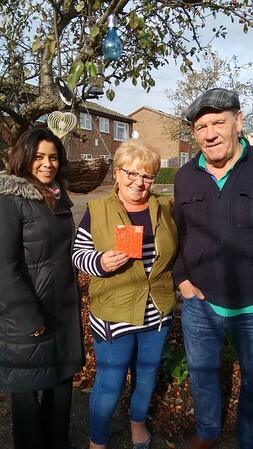 Rehana Parveen, their local Housing Officer, has been along to visit the site recently and presented them with a voucher to say thank you for all their hard work.